Santo Domingo (GLOBE NEWSWIRE).- Adventure travel is one of the fastest growing travel segments and Dominican Republic’s diverse terrain creates a stunning backdrop for a wide range of adrenaline-pumping excursions to add a little excitement into any spring break. 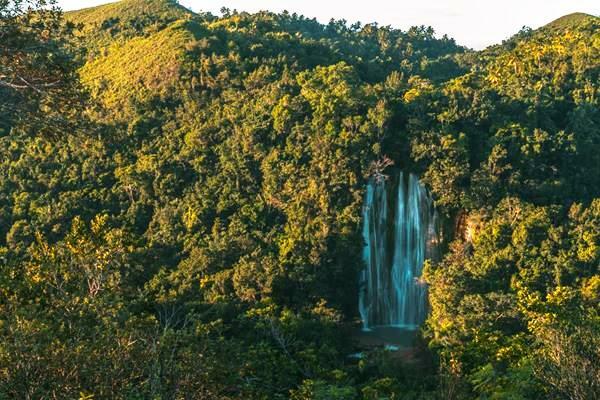 From Puerto Plata to Samaná, some of the most magnificent features take travelers away from the coasts and in to the country’s underexplored inland regions, where abundant rivers lead to breathtaking waterfalls. Whether you prefer to admire picturesque cascades from afar, jump right in to the rushing water, or embark on an excursion, Dominican Republic offers a unique experience for every type of traveler. In a recent Booking.com survey, 45 percent of global travelers said they want to be more adventurous in their choice of destinations in 2019 and prioritize new and unique experiences. Adventure travel is one of the fastest growing travel segments and Dominican Republic’s diverse terrain creates a stunning backdrop for a wide range of adrenaline-pumping excursions to add a little excitement into any spring break. From Puerto Plata to Jarabacoa, some of the most magnificent features take travelers away from the coasts and in to the country’s underexplored inland regions, where abundant rivers lead to breathtaking waterfalls. Whether you prefer to admire picturesque cascades from afar, jump right in to the rushing water, or embark on an excursion, Dominican Republic offers a unique experience for every type of traveler. Local guides and outfitters provide all the equipment and safety gear so that you can slide down water-cushioned chutes and jump into crystal-clear turquoise pools. Most excursions only feature seven of the falls, but visitors who are conditioned for the physical challenge may choose to pursue all 27. The mountain resort of Jarabacoa has long been popular among Dominicans for its cool temperatures, fresh rivers and breathtaking views of sweeping green landscapes flanked by dense pine forests and coffee-producing mountains. This ecotourism hot spot is also home to some of the country’s most gorgeous cascades, including Salto de Baiguate. The waterfall tumbles down 82 feet into a freshwater pool that goes from shallow to deep as you approach the falls. The pool is a popular spot for a midday swim and although it’s tucked below a deep canyon, it’s easily accessible via a series of wooden steps that lead directly to the water. For the brave, book a canyoning excursion that concludes with a thrilling rappel down the waterfall.